The habitat of the Malayan tiger — one of the world’s most endangered tigers — is being threatened by a strange fruit. Because of a growing demand in China for durian, a ‘smelly’ and controversial fruit, Malaysian forests are being cleared to make room for growing the crop. This deforestation could destroy the chances of survival for the Malayan tigers, of which only 300 remain in the world. Forests in the Malaysian region of Raub, home of the Malayan tiger, have become a popular destination for “durian tours.” As such, this forested land is being burned and cleared to make room for plantations to grow the Muang King variety of durian. According to Siti Zuraidah Abidin from WWF Malaysia, the Hulu Sempam area of the country had been named an “expected tiger habitat.” Now, plans for a new durian plantation in this region are in place, despite its proximity to the habitat of most of the planet’s 300 remaining Malayan tigers. Perbadanan Setiausaha Kerajaan, a company with ties to the government, has plans to cut down more than 1,200 hectares of land in Hulu Sempam for a durian plantation. The Pahang Forestry Department said that the company does not need permission for the project, even though Malayan tigers exist only on the Malay Peninsula and southern Thailand. “Land clearing at Hulu Sempam can cause the wider forests to be fragmented, which in turn can affect the wildlife movement,” Abidin warned. As The Guardian reported, the durian market has become incredibly profitable. 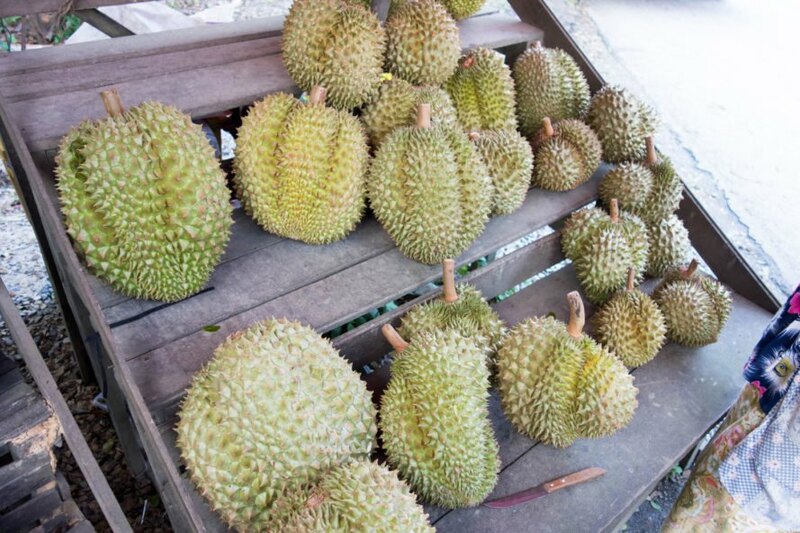 In just the last year, demand has increased the cost of the fruit in China, leading to a surge in durian farming in Malaysia. Some experts even predict that it could replace palm oil as the country’s largest export. Over the past decade, the value of China’s durian imports has jumped about 26 percent each year, reaching $1.1 billion in 2016. Environmental groups are afraid that durian will be just like palm oil and lead to the same destruction of endangered wildlife habitats, particularly of the Malayan tigers. The habitat of the Malayan tiger — one of the world’s most endangered tigers — is being threatened by a strange fruit. Because of a growing demand in China for durian, a 'smelly' and controversial fruit, Malaysian forests are being cleared to make room for growing the crop. This deforestation could destroy the chances of survival for the Malayan tigers, of which only 300 remain in the world.